An Avalanche Killed His Girlfriend. Then This World-Class Climber Took His Own Life. A report released Tuesday by the Gallatin National Forest Avalanche Center says Hayden Kennedy searched, then trekked out of the area for help. On Monday, rescuers discovered Inge Perkins' body beneath three feet of snow. The avalanche broke loose from Imp Peak, a rushing wall of snow - two-feet high at the vertical crown and 150-feet across - slipping quickly along the older dense accumulation. The hard slab slammed down into the gully on the mountain's side, stretching for 300 feet over the dark rock outcroppings, burying two young backcountry skiers Saturday at 10,000 feet above sea level, six miles from the trail head and 20 miles southwest of Big Sky, Montana. Hayden Kennedy, a 27-year-old world-class climber, fought his way out from the pileup. But he could not find his girlfriend, 23-year-old Inge Perkins. A report released Tuesday by the Gallatin National Forest Avalanche Center says Kennedy searched, then trekked out of the area for help. On Monday, rescuers discovered Perkins' body beneath three feet of snow. But the tragedy unfortunately didn't stop on the wind-ripped side of the Madison Range's fourth highest peak. On Sunday, as searchers were mustering to locate the missing skier, Kennedy took his own life. This week, his father, Michael Kennedy, confirmed his son's death. "Hayden survived the avalanche but not the unbearable loss of his partner in life," the father wrote on Facebook. "He chose to end his life. Myself and his mother Julie sorrowfully respect his decision." 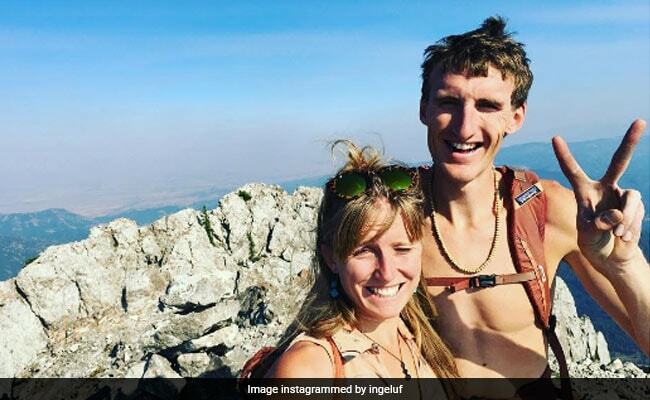 The gravity of both losses is pulling particularly hard on the world of professional mountain climbers, globe-trotting alpinists, and extreme outdoors-people. Both Kennedy and Perkins were renowned climbers with corporate sponsorship and followings. Kennedy was a climbing wunderkind who had pulled himself to the top of some of the globe's most demanding peaks. The son of prominent members of the climbing scene, in 2014 Elevation Outdoors dubbed him "the best young climber on the planet." Despite his age, Kennedy had scraped up enough mountainsides to understand his chosen lifestyle was a tricky balancing act between daredevil risk and safe respect for the threats and challenges of the natural world. "I see both light and dark in climbing," he wrote in September on the website Evening Sends. "I have watched too many friends head into hills without thought or reason just because that's what they have always known. I have been guilty of this approach, too. Why do some of us survive and others don't?" Kennedy grew up in Carbondale, a Colorado mountain town. His mother, Julie, was the founder of the 5Point Film Festival, an annual event for outdoor and adventure-related films. His father Michael was an acclaimed alpinist who also worked as the editor in chief of Climbing magazine for 30 years. "I started climbing a lot at 13, 14," Hayden Kennedy told Elevation Outdoors in 2014. "I grew up climbing with my dad when I was super young. But I wasn't that into it. Then as a teenager, I did more sport and trad climbing." With climbing such a part of his family life, Kennedy was naturally pulled to the sport - despite his mother's concern over the risks. "Do you remember when she told me that if I ever taught you to ice climb, she'd kill me?" Michael Kennedy wrote to his son in an open letter published in 2012 on Aplinist.com. "She figured that ice climbing was the gateway drug to alpinism. Fortunately, you learned it on your own." "I spent my entire youth reading everything about our sport's history that I could get my hands on, not to mention discussing the nuances of climbing's ethics with my dad, a former world-class alpinist, and all of his fellow world-class alpinist buddies when they'd come through town. More importantly, I've tried to make opinions about climbing ethics based on firsthand experiences - not through Internet forums. That seems to be a rare thing these days." After graduating high school, Kennedy opted not to go to college, but hit the road to climb. Self-effacing and humble, with what one friend later described as a "hang-loose sincerity," the young climber was unlike many of the high-profile names in the sport, who seemed obsessed with documenting their adventures on social media. "I've never been a goal-oriented climber so I don't really see the point in recording my climbs or hyping them up," he wrote in September. "I don't hashtag on Instagram. And I'm not on Facebook. I guess that makes me a sh-y Millennial." But his climbs caught attention. Among his many achievements, he climbed a new route up K7 in Pakistan, where he also trekked up the Orge of the Baintha Brakk. Most infamously, in 2012, Kennedy and a partner climbed the southeast ridge of Cerro Torre on the border between Chile and Argentina. The mountain had originally been climbed in 1970 by mountaineer Cesare Maestri, who installed bolts into the rock face for an easier assent. On their way down, Kennedy and his partner tore out the bolts, a defiant gesture to restore the mountain to its natural condition. "Maestri drilled his way to the top, without any regard to the natural features of the mountain. Over the years, as alpine climbers' skills, vision, and talent increased, so did the call to restore the natural challenges of this special mountain. After climbing Cerro Torre without the bolts, and seeing firsthand the outrageous nature of their placements - and understanding the history of the debate - Jason and I decided to remove a majority of the bolts on our way down." "It's so fun climbing with Hayden Kennedy," one friend testified in 2014. "He's such a rad, humble dude. He has this lighthearted attitude about everything. And super-psyched as well. His skill base is insane. This kid can climb everything." In between his worldwide jaunts, Kennedy returned home. He worked odd jobs for money, including putting his climbing skills to work crawling over big houses hanging Christmas lights for the holiday season. "It was the exact kind of brutal, dangerous work that would suit an alpine climber, so long as we could ignore the fact that we were contributing to one of the most obscene spectacles of American consumerism ever invented," he wrote. Perkins shared Kennedy's feel for the outdoors. A native of Bozeman, she was an award-winning skier, having polled the Grant Teton, the Taylor Hilgard Unit, and won the Montana Randonee Championships, Rock and Ice Magazine reports. She also ascended numerous peaks. "Climbing of different varieties is a main vein in my life," she explained in an interview last February. "Over the past five years I have fallen back in love with backcountry skiing and ski mountaineering." The couple had recently moved to Bozeman. Perkins was completing her bachelor's degree in mathematics and education at Montana State University. Hayden was working toward his EMT certification. A week before his death, Kennedy wrote honestly of the dangers inherent in pushing the edge in the wild. "It's not just the memorable summits and crux moves that are fleeting. Friends and climbing partners are fleeting, too. This is the painful reality of our sport, and I'm unsure what to make of it."